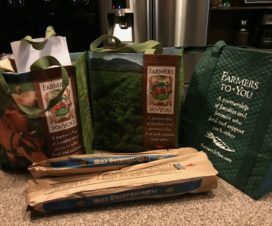 Disclosure: I received The Giant Turnip to review for this post; all of the thoughts included in this post belong to me. This post contains affiliate links; learn more here. Welcome to the Fifth Annual Multicultural Children’s Book Day! 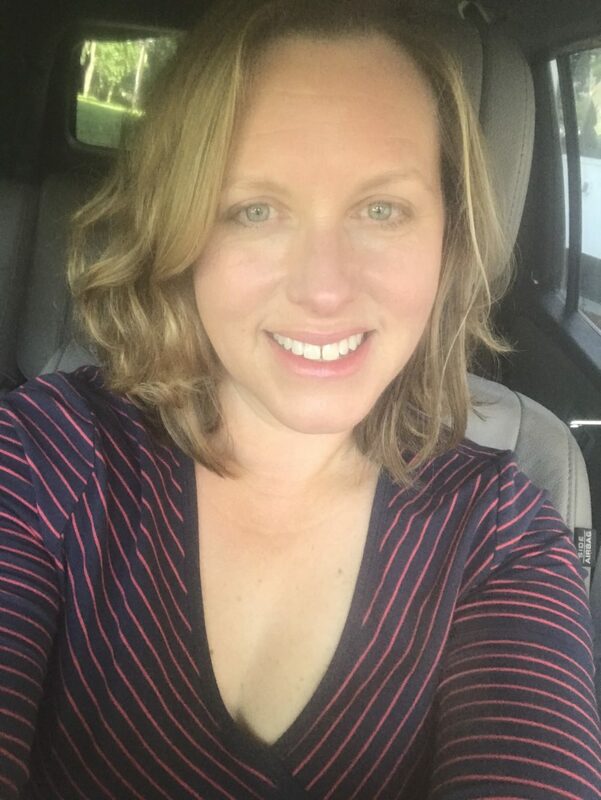 Multicultural Children’s Book Day was founded by Valarie Budayr from Jump Into A Book and Mia Wenjen from PragmaticMom. MCBD’s mission is to raise awareness of the ongoing need to include kids’ books that celebrate diversity in home and school bookshelves while also working diligently to get more of these types of books into the hands of young readers, parents and educators. My kids and I were sent The Giant Turnip to review. This book was adapted by Henriette Barkow and illustrated by Richard Johnson. It was provided to us by Language Lizards. The Giant Turnip is a “humorous retelling of the classic Russian tale, The Enormous Turnip. It’s the story of a class of children who work together to create and nurture a garden at their school. Then, much to their surprise, over summer break, one of the turnips they planted grows to size far beyond anyone has ever seen before. The students learn to collaborate with one another to get the turnip out of the garden and into the kitchen where they enjoy the tasty vegetable together. There are several unique elements of The Giant Turnip. First, the version sent to me was written in both English and Gujarati, a language spoken by nearly 5% of the population in India, but not one my children had ever seen. Second, Language Lizard offers the book in 20 other languages—from Czech to Farsi to Vietnamese. And, third, the characters in the book were diverse;. the students represented different ethnicities, some were able-bodied while others had disabilities. The inclusiveness of The Giant Turnip was lovely to see, and could be a great jumping off point for conversations of race, gender, and disability with children reading the book. The Giant Turnip is targeted to children younger than mine; I’d say the right audience is preschool through first or second grade. However, it was useful for my children, aged 8 and 10, to read it, as the book kicked off a discussion about why it’s so important for children to be able to read books in their own languages. I explained that it’s critical for keeping the children connected to their culture, and helps in language acquisition. Plus, it’s an important message that they, and people like them, matter. There are so many other books being shared during this year’s Multicultural Children’s Book Day. You can find them by searching under #readyourworld on social media or by visiting the MCBD blog. 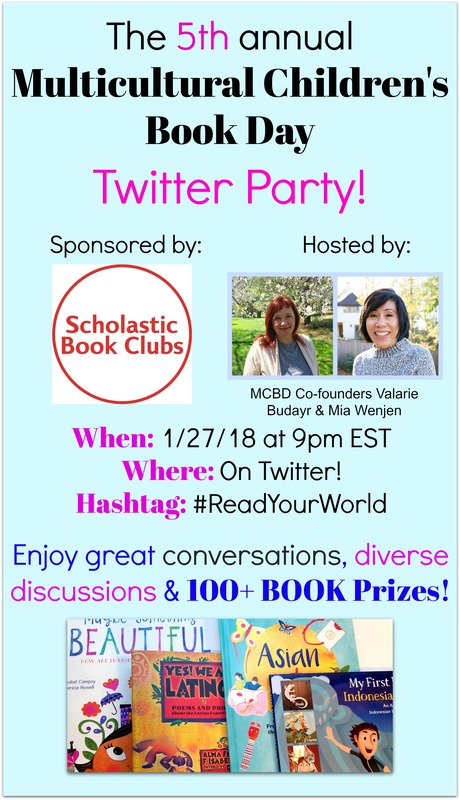 Twitter Party, sponsored by Scholastic Book Clubs: MCBD’s super-popular annual Twitter Party will be held tonight–Saturday, January 27–at 9 PM. Join the conversation and win one of 12 five book bundles and one Grand Prize Book Bundle of 12 books that will be given away at the party. 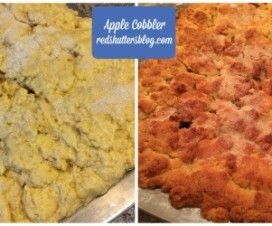 Giveaways: Scoot over to the MCBD blog to check out the more than a dozen giveaways underway. Bookmark: One of the MCBD co-hosts has created a free, downloadable MCBD bookmark, which you can find here. 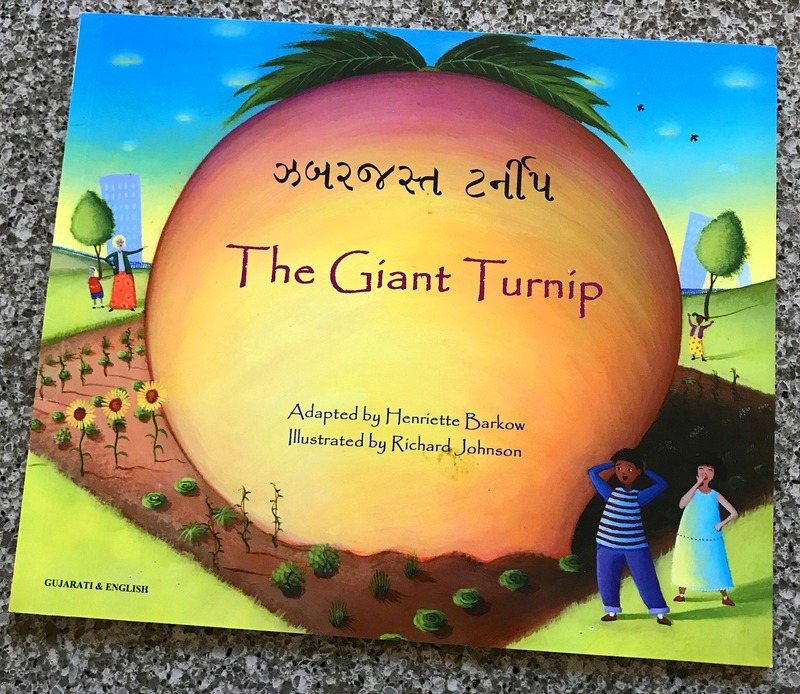 Recommendation: The Giant Turnip is ideal for young readers and those looking to use books as a jumping-off point to discuss teamwork, inclusion, and language. 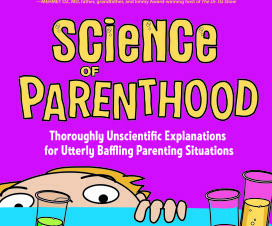 Are you fluent in the Science of Parenthood? These funny ladies are!